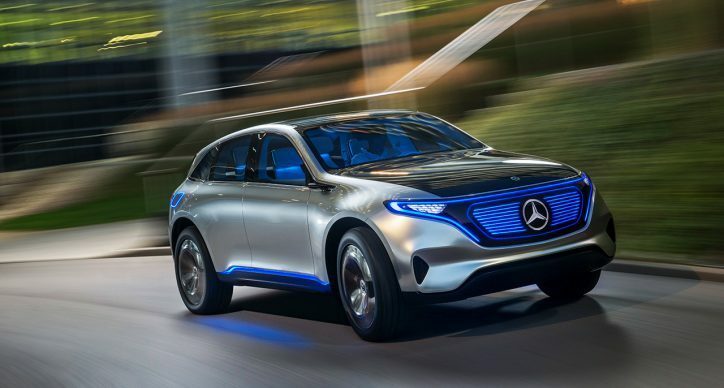 Mercedes-Benz has finally reached an agreement with Chinese company Chery Automobiles over the use of the EQ brand for its electric vehicles. The German automaker is now cleared to use EQ as a badge to their electric vehicles lineup. As reported earlier this year, Chery Automobiles filed a case before China’s trademark regulator because of Mercedes-Benz’s plan of using the EQ brand name. It was only last year when the German car manufacturer announced that it would create an EQ brand to categorize its future electric vehicles, services, and technologies. EQ will stand for electric intelligence, Mercedes said. But Chery Automobiles was quick to point out that it has been selling an electric minicar called eQ for a few years now. The complaint dragged Mercedes-Benz to a battle with the Chinese manufacturer. Eventually, both companies agreed to let the other one use the same EQ brand, provided that there are some modifications. Chery will focus on using the eQ brand name together with numerical variations of the same name while Mercedes will be able to use the EQ brand and its alphabetical variants. The agreement will take effect both in and out of China, lessening the confusion among both Chery’s and Mercedes’ markets. Hubertus Troska, Daimler board member in charge of Greater China, stated in a report on MotorTrend that Mercedes understands Chery already gained a great reputation in China with the eQ brand name. The agreement to let each other use the eQ/EQ acronyms is a signal that the two are willing to work together to foster the future of electric vehicles in the automobile industry. Mercedes already has a ready lineup for its electric vehicles line. The line will spread across all segments—from compact vehicles to luxury-oriented cars.